“Cancer” is defined as unchecked cell growth that over time. Without treatment, a tumor can grow to invade vital organs and cause major problems that can eventually lead to death. Unchecked cell growth is caused by mutations in our DNA—changes in the code that tells all the cells in our bodies everything. This includes telling a cell (among others) when to grow, when to divide, how many divisions to undergo, and when to break away from a certain place in the body. The first key to understanding how a tumor can relapse is to understand how a change in DNA can cause a tumor to break free of its regulations and grow uncontrollably, leading to a tumor. DNA codes for mRNA, and mRNA is then translated into protein. These proteins guide how a cell operates. For example, if a cell receives a signal from a hormone or small molecule that was secreted from a neighboring cell, it would be proteins that respond to this hormone and carry out what the hormone signaled for—it could be growth, movement, etc. The hormone or molecule essentially turns the protein “on.” But, when DNA is changed, it can change these proteins and leave them in a perpetual state of “on” even without the hormone or molecule. This causes the cell to ignore regulations, grow and divide, causing cancer. So how does a tumor relapse and become resistant to treatment—even after that same treatment was previously successful in shrinking a tumor? Drug resistance and tumor relapse can be split into two categories based on the type of chemotherapy used: conventional or targeted. Conventional chemotherapy targets any dividing cells, while targeted therapy targets the single “on” protein. 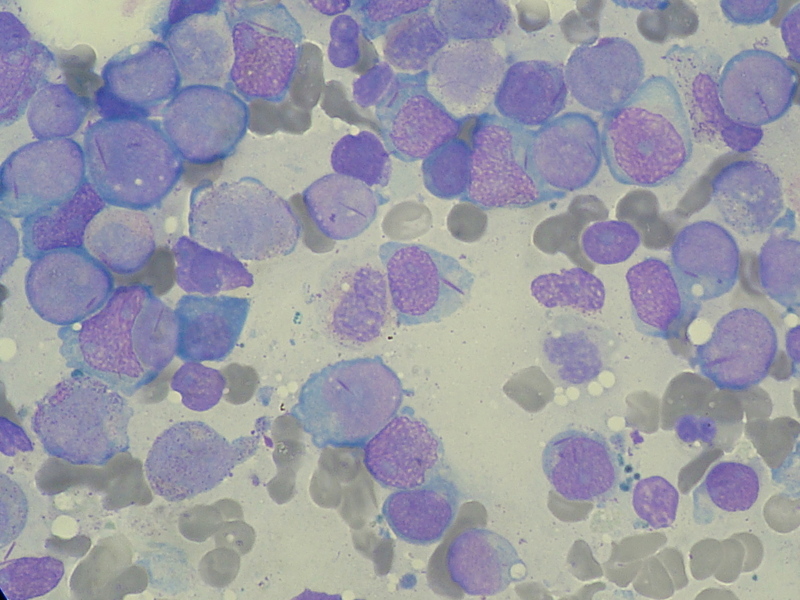 Conventional chemotherapy kills dividing cells by activating a cell’s own internal checkpoints. For example, cisplatin puts adducts on a cell’s DNA. And adduct is when a foreign chemical gets bound to DNA. This can create all sorts of problems for DNA including bulges in the helix, which causes problems for both replication and transcription. In the case of cisplatin, adducts prevent the DNA replication machinery from processing, and this causes a cell’s own internal death pathways to be activated. When this happens on a large scale, many tumor cells die, and the tumor will shrink. However, because a tumor is comprised of billions of cells that are all dividing rapidly, mutations in DNA are occurring all the time within the tumor. This means the probability of a single cell acquiring just the right set of mutations that allow it to evade the cell’s internal checkpoints is relatively high. Without these checkpoints, the cell will not respond to the treatment. Thus, once the other cells that are sensitive to the chemotherapy are killed, this cell can emerge and form a new tumor—one that is completely resistant to the chemotherapy. And, again, because so many cells are present and dividing so rapidly in a tumor, the probability of a single cell within the tumor getting a spontaneous mutation that breaks a second protein in the cascade is relatively high. This means the cell subverts the targeted part of the cascade, and the signal will continue in that cell even if the other cells are killed off via targeted chemotherapy. And, again, once the sensitive cells are killed off, the new cell can grow and form a new, completely resistant tumor—remember the targeted drug only hits the single protein in the cascade. 2) A cell divides unchecked and forms a tumor. 3) As the tumor grows, some select cells get a that special “perfect storm” of new mutations that allow a single cell to subvert cell intrinsic checkpoints and reactivate the cascade, but this cell does not represent the bulk tumor yet. 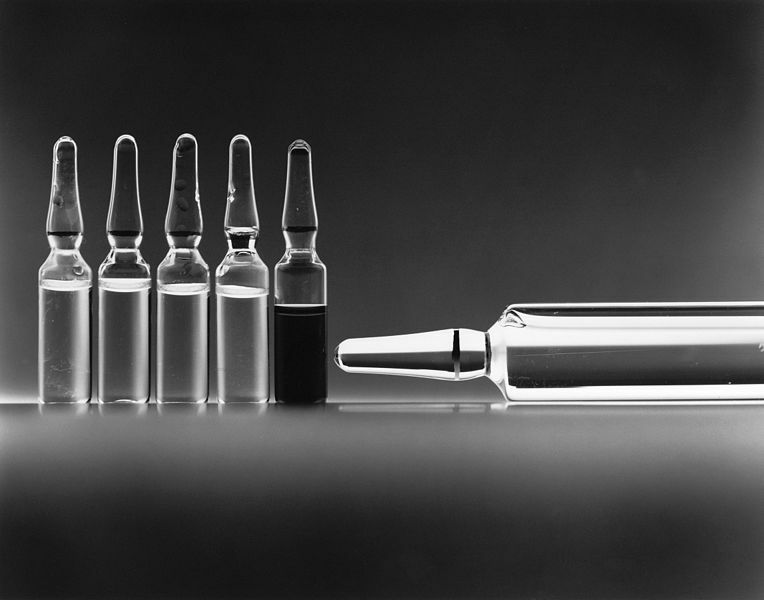 4) Chemotherapy (targeted and/or conventional) is used that, for a time, shrinks a tumor. 5) After the tumor shrinks, that single cell, which is resistant to drugs, begins to grow and eventually forms a whole new, drug resistant tumor. Chemotherapy is a great front-line defense against cancer, but relapse is a significant obstacle to overcome in the war on cancer. That being said, relapse is being studied extensively and new drugs and new drug regimens are being created and tested every day. One day, hopefully relapse will be a thing of the past.